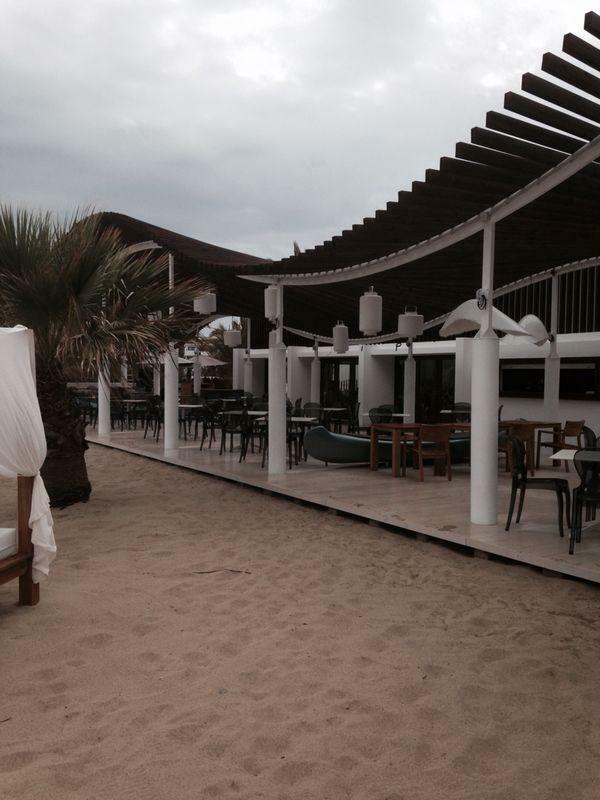 Decking & Seaside places, how to choose? Really a few people do know the big efforts that seaside activities, houses, restaurants, hotels have to do each year in order of maintaining their decks and outdoors furniture! Such a work! With this little guide we’d like to give you some points to reflect on if you’re in the process of choosing the right outdoor flooring for your deck area. The very first thing is to check if you’re more real wood or composite oriented. 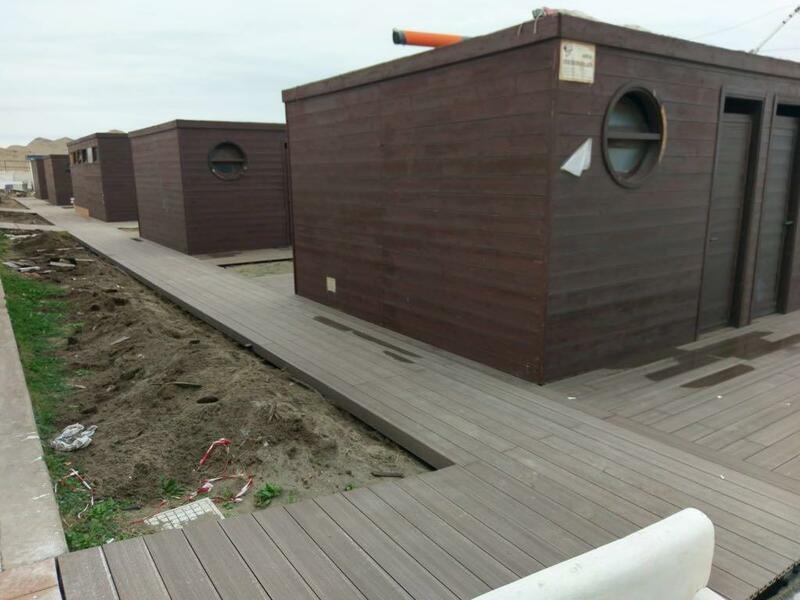 In fact not all the materials are good to be exposed at seaside areas weather. 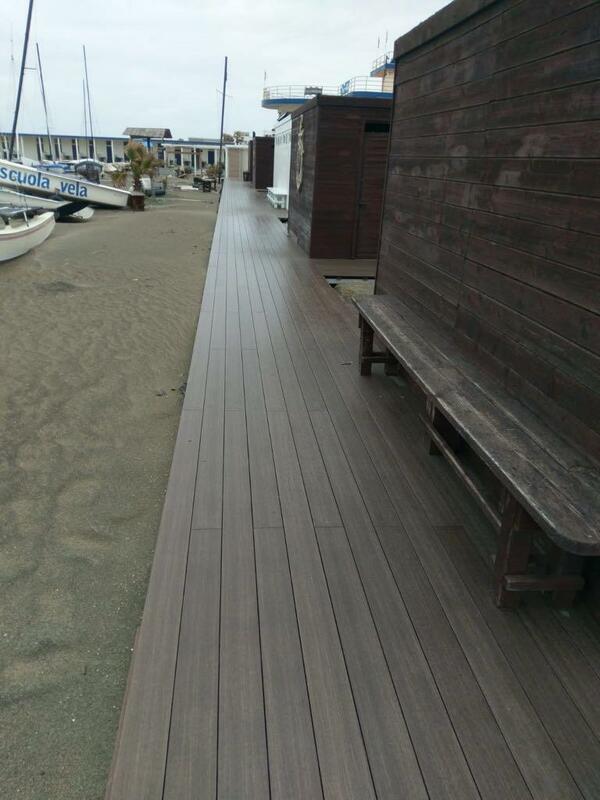 WOOD: We all know that wood gets on living even after it get cut and milled into decking boards, and most of all that it reacts a lot with sea weather! In the case you want to opt for wood, you absolutely need to choose a stable and seasoned one. Unfortunately the best wood are even the most costly, I am talking about IPE and Teak, which are commonly used on boats too! With that kind of wood you’ll just have to care about esthetic maintenance (due to oxidation), but the structures stays still!!! What you really have to AVOID are soft woods like Fir and Pine for such job. Composite: The best composite around is called DURO, the new material made of RICE HUSK (skin of the rice grain) and PVC (not recycled). Yes, you got it right… RICE HUSK, a by product that would be otherwise burnt and create CO2 is given a much more noble second life into decking boards with incredible structural performances. It has to be compared to a noble wood other than common composites. Rice grows into water, and the skin of the rice protects the grain till the moment it’s ready to blossom! v, in fact it is only the micro surface to absorb. The perfect contrary of sawdust. This means that after years we are gonna be able to restore our decking and bring it back brand new… if there is a resistant stain, we can sand it and bring it back brand new again… without the need to change it. The expansion coefficient of each board is just 1mm per running meter, and only in length! Another reason why DURO has no competitor is for the REVOLUTIONARY installation systems patented to install it (which we’ll talk about in a little bit)! On the contrary make sure to ABSOLUTELY AVOID standard WPC products. iDecking Revolution Systems: ZERO SCREWS / EASY INSTALL AND REMOVE ! iDecking Revolution is the company born to innovate in the field of decking/cladding installation systems and materials! 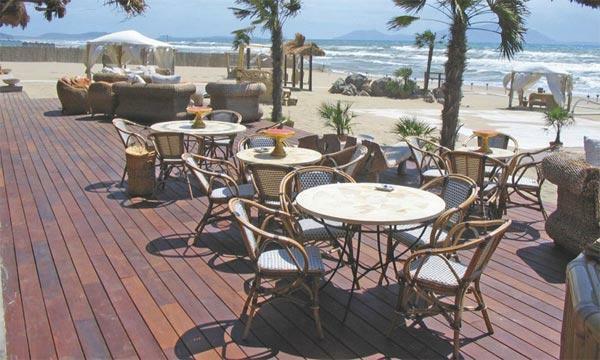 The company patented a whole new generation of decking installation systems, selling successfully worldwide! EasyChange EasyChange is the only system in the world which allows you the ability to remove and replace every single board of your deck using a special iDecking key. No need to utilize any drills, screws, spacers or “obsolete” clips to install the decking. iDecking Easy Change system helps ensure a quick and simple troublefree installation. EasyChange is comprised of an understructure which comes with pre-spaced special rotating nylon cams. Decking boards are then locked in place with a simple turn of the EasyKey. The system can be used both for Wood and for Composites such as DURO and ETHERNO (Carbonized Bamboo). As far as decking maintenance is concerned we need to divided the chapter in two: 1. Esthetic Maintenance, 2. Structural Maintenance. - Esthetic Maintenance is strictly linked to the kind of material you choose your boards made of. Each one has its own reaction to sea weather. Here we go to personal tastes, since there are architects who prefer time patina on the boards and people who like to keep them new and clean. In the second case, DURO composite is the best choice. Let’s always remember that wood is great too, but we would strongly suggest to lay a couple of protectors coats per season in order to maintain the wood at its best. - Structural Maintenance is strictly linked to the installation system you choose! Of course any iDecking system (EasyClick / EasyChange) bring this kind of maintenance down to almost zero, since you are not dealing with screws to fix the board on the ground! BEST SOLUTION: Noble Woods (Teak/IPE) or DURO COMPOSITE as materials to be matched with iDecking Revolution EasyClick or EasyChange system.